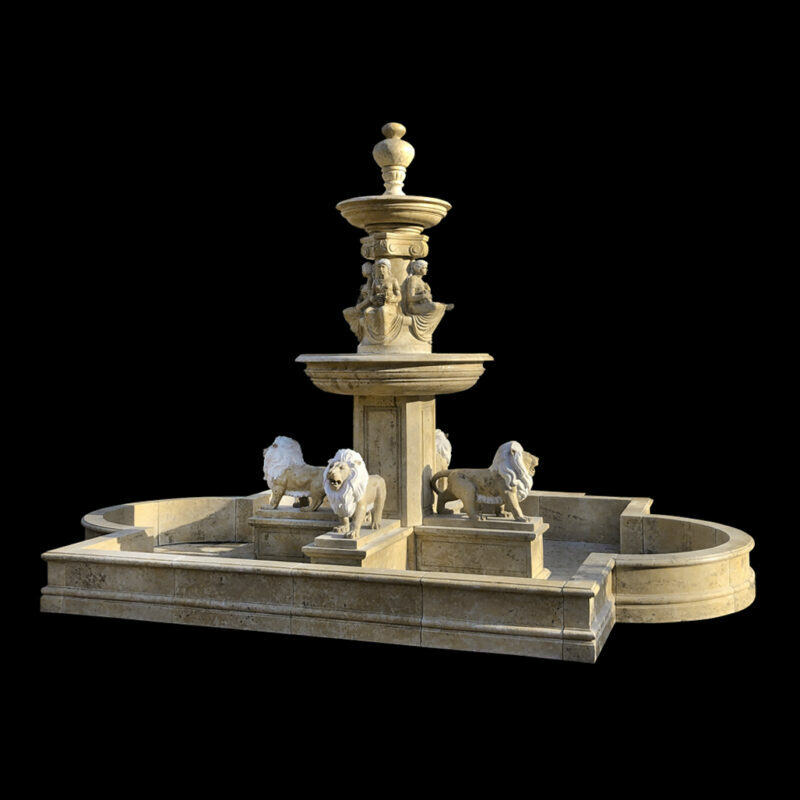 Marble Four Lions Tier Fountain with Basin | Metropolitan Galleries Inc.
Marble Lions Tier Fountain with Basin by Metropolitan Galleries was developed by our team of skilled marble sculptors. Our selection of marble fountains and sculpture have intricate hand-carved details and can be developed in numerous types and colors of marble. Our most popular marble is Masha White. We also offer Henan Yellow, Anthracite Black, Bordeaux Red, Rain-forest Green and a selection of natural taupe color marble. Marble sculpture is the art of creating three-dimensional forms from a solid piece of marble stone. Metropolitan Galleries offers a diverse and eclectic selection of beautiful hand carved marble sculpture and fountains. We also specialize in the design and development of custom sculpture projects. Marble sculpture has a visual depth beyond it’s surface and adds beauty and elegance to the desired design application. Should you have any questions regarding this Marble Four Lions Tier Fountain with Basin or our diverse selection of hand-carved marble sculpture and fountains, please reach out to our corporate office and warehouse at 1-800-929-1681.